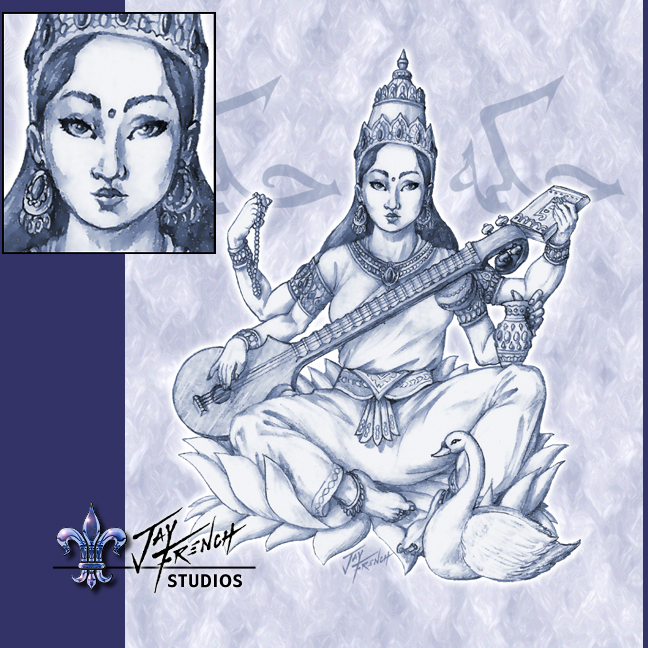 The Hindu Goddess of Wisdom, this portrait of Saraswati was originally done as a contract piece, but has now become the latest in the Mythic Beauties Series. Originally pencil, this has been digitally enhanced to be a wonderful Indian print. Click the image to view merchandise with "Saraswati"